2016 Yamaha Kodiak 700 EPS SE, 2016 Yamaha Kodiak 700 EPS SE HARD WORKING GOOD LOOKS. Built for work but boasting an eye-catching look that begs to play. The all-new Kodiak 700 Special Edition. Built Real World Tough. Features may include: Special Edition Package: The 2016 Kodiak 700 SE features an aggressive look with black alloy wheels, sharp Carbon Metallic painted bodywork and special graphics. High-Tech Engine, Built for the Real World: The 2016 Kodiak 700 has an all-new 708cc, 4-valve, fuel-injected engine with optimized torque, power delivery and engine character ideal for smooth, quiet operation all day long. Ultramatic® The Industry s Most Durable CVT Transmission: Kodiak 700 s Ultramatic® transmission features a gated shifter, dual-range (Hi/Lo) drive plus reverse gear and is the most advanced drive system available plus, the gear ratio and Kodiak-specific CVT settings are designed to lower engine RPM and provide a smooth, easy-to-use power character. An automatic centrifugal clutch maintains constant belt tension for reduced belt wear and a sprag clutch provides natural all-wheel engine braking. Yamaha s Exclusive On-Command® 4WD: The three-position On-Command® 4WD system lets you switch between 2WD, limited-slip 4WD and a fully locked differential 4WD all with the simple push of a button. Override button allows engine to make maximum rpm in full diff. lock mode. 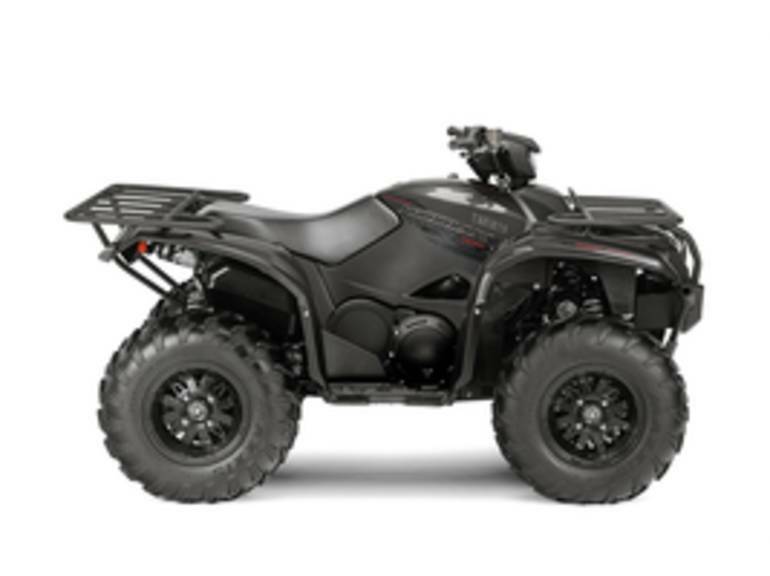 Compact, Comfortable Chassis: The Kodiak 700 features a compact and comfortable new chassis with fully independent suspension, exclusively-designed 25-inch Maxxis® tires and wide arc A-arms providing optimum terrainability, comfort and handling. Sharp Styling: The Kodiak 700 s styling features bright halogen headlights with a handlebar-mounted auxiliary light, large storage compartments and large-diameter front and rear racks with class-leading load capacity. Advanced Instrumentation: New digital instrument panel boasts a multifunction LCD display with speedometer, odometer, dual tripmeter, hour meter, 4WD status, transmission position, clock and fuel gauge. Class-Leading Power Steering: Yamaha s Electric Power Steering provides the industry s best balance of steering assist and positive feedback from the trail, providing maximum comfort and confidence. Work-Ready Tow Capacity: Center-mounted, heavy-duty two-inch receiver comes standard and can tow more than 1300 pounds. All Yamaha pictures are kind of Yamaha HD motorcycles picture was taken, including motor fuel gauge, engine, engine mounts, tires, fuel tank, the car handles, lights and so on, 2016 Yamaha Kodiak 700 EPS SE full-screen viewing,2016 Yamaha Motorcycles today Price: $8,009 .